Data Deluge: The Power of the Beautiful Experiment - an appreciation. The Power of the Beautiful Experiment - an appreciation. The interesting question is why theory failed here. Part of the answer, as Cobb emphasizes, is related to Crick’s idea of the frozen accident. The genetic code seems at least partly arbitrary. It represents a half-decent arrangement arrived at by the imperfect, tinkering process of evolution by natural selection and, once settled on, it couldn’t be “improved,” or made somehow more systematic. In such a situation theory is likely useless. I suspect there’s another, related, reason that theory contributed so little to cracking the code. There was, at bottom, a mismatch between the nature of the problem and the nature of much biological theory. Successful theory in biology typically plays a different part than does successful theory in, say, physics. Theory in biology often guides thought, or trains intuition, or points to patterns that might hold approximately in nature. Only rarely does biological theory provide the essentially exact results that physicists are accustomed to. (And in biology approximate results, or even rules of thumb, are often more useful than exact results.) This kind of broad-stroke theory doesn’t provide much help with a problem as specific as the coding question. A rough analogy captures these kinds of concerns. Mathematical theory might tell you something interesting and general about combination locks: for example, that they should require a sequence of three or more numbers to prevent a would-be thief from opening them in a few random tries. But place a particular combination lock before a theorist and he’s probably no better than the rest of us at opening it. Finally, and perhaps most important, Life’s Greatest Secret highlights the power of the beautiful experiment in science. Though Cobb pays less attention to this subject than he might have, the period of scientific history that he surveys was the golden age of the beautiful experiment in biology. Biologists of the time—including Nirenberg with his UUU, Crick and Brenner with their triplet code work, and others including Matthew Meselson, Franklin Stahl, and Joshua Lederberg—were masters of the sort of experiment that, through some breathtakingly simple manipulation, allowed a decisive or nearly decisive solution to what previously seemed a hopelessly complex problem. Such experiments represent a species of intellectual art that is little appreciated outside a narrow circle of scientists. 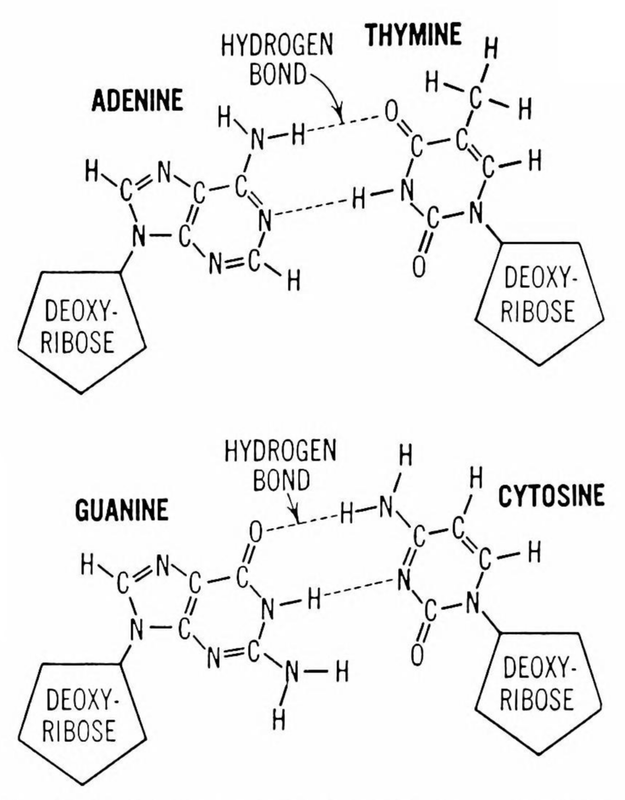 IMAGES: from Principles of Modern Biology by Douglas Marsland (1964) - HERE.